Recently my son started to practice Tai Chi – an internal Chinese martial art that is often practiced for health reasons. 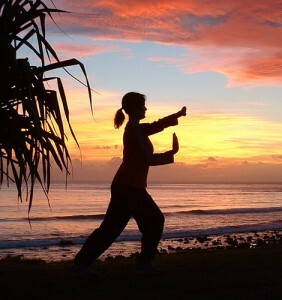 Tai Chi is originally a sophisticated martial art in which you learn to control and relax your mind and your body and to win over the hard with softness this way. It is not really about fighting these days but rather about practicing ultimate principles that enable you to reach a certain state of body and mind in which you can do unbelievable things, fighting is just one of these. I find that applying the very same techniques and principles to guitar playing makes a lot of sense. Maybe it is not ideal for all music styles but surely for the Mark Knopfler style. It even seems to me that it is not possible to play this way without these principles. So what are these principles in detail and how do they refer to playing the guitar for this style? One key element is relaxation. The whole body should be as relaxed as possible. And the mind, too. Your muscles become loose which allows extremely fast movements. If you want to play fast guitar licks this will not work with hard and cramped muscles – at least it will not sound the way you want it to, and playing with a lot of muscle tension will get you in trouble like becoming RSI. A relaxed mind allows you to concentrate. In return, keeping up a high level of concentration will reduce your muscle tension. After some time doing so the mind becomes extremely calm and clear. It should be no question how this will benefit for playing ultra-accurate, percussive rhythms or super-fluid casual licks like Mark Knopfler is famous for. You might have heard about these: the contrast behind all aspects of life that is the cause of all changes and all movements. It is an easy but at the same time very complex philosophy. In short: nothing can exist without its counterpart, without the opposite. 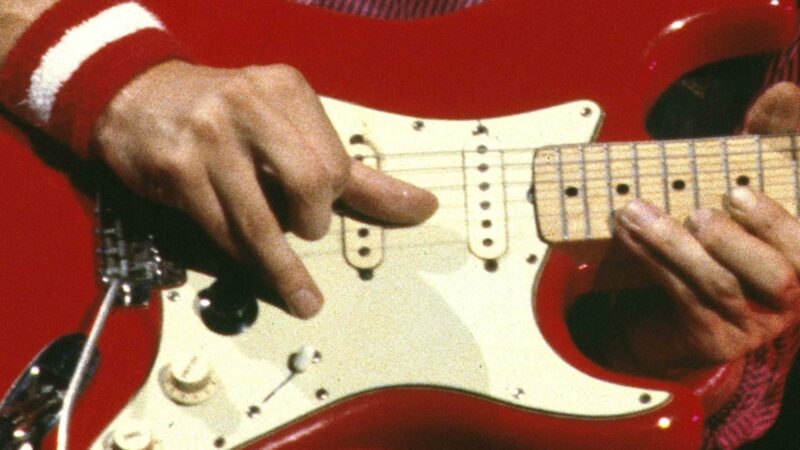 Applying to music and guitar playing would mean for example to leave adequate pauses between the notes you play, or contrasting loud notes with very soft, low notes (just listen to the legendary first solo of Sultans of Swing). Everything in a perfect guitar solo must be in harmony with everything else, everything must be balanced. Bass notes require a contrast of treble notes, short staccato licks should be contrasted with sustaining singing notes, and so on. I think you get the idea. The body can only reach its full potential when all parts of the body are exactly in the position they are really meant to be. Only this way relaxation is possible. This means the spine should be almost straight with only minimal pressure on your intervertebral discs. The shoulder must be relaxed. If you keep them slightly lifted (like we almost all do most of the time), your arm muscles cannot operate properly. All false positions of any body parts will block the flow of energy through your body. The breath should be deep and even. Try to “breathe into your belly”, not into your chest. Especially try to avoid holding the breath while playing, and to inhale quickly in breaks between licks. Ideally breathing should be natural and not be interrupted when trying to do something comlicated, like playing a special riff or lick. Probably you never payed attention to this aspect. Watch yourself and find out what you do under which circumstances. In Tai Chi complex movements (which are normally whole-body movements) are practised extremly slow – like in slow motion. This way you will become aware of any wrong details like a too high muscle tension, lifted shoulders, or anything else that does not feel perfect. Do the same when practicing guitar: slow it down extremely and try to pay attention to **all details at the same time** – something you are noromally not able to when doing the same thing at a higher speed. I am convinced that applying these rules will help you a lot to become a better guitar playing – it is not possible to overcome certain limits without them. And what seems to work for fighting or guitar playing also will work for nearly all things in our lives. So applying these principles for all things in life makes a lot of sense – you will not only be able to do things you cannot do otherwise, you will also feel much better and happier. And what can be more important than this? Visit our blog and post a comment. We would love to hear your thoughts. another insightful article Ingo. The best blog on the net! 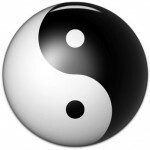 I do both … play guitar and tai chi … and yes, the principles do directly apply … both ways. And yes, I clearly found my guitar playing improved when I practiced tai chi.